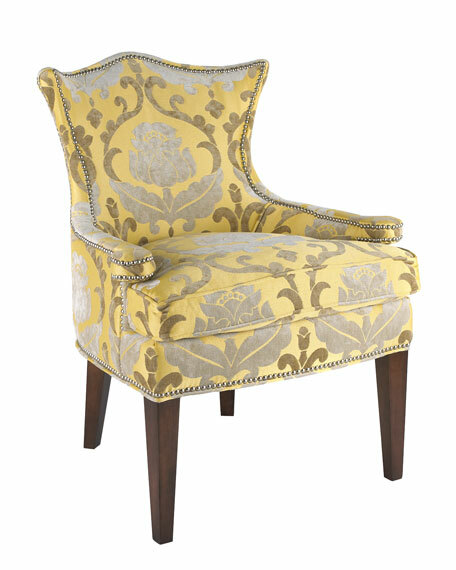 Winged accent chair with a beautifully curved back is handcrafted of maple and covered with damask-patterned polyester/acrylic. 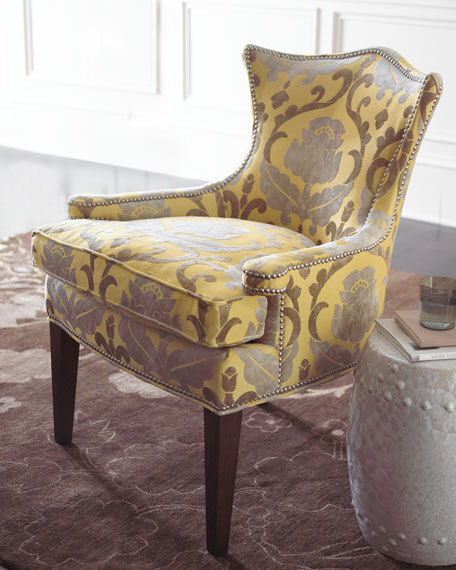 Silver nailhead trim adds that extra mile to its irresistibility. 31"W x 32"D x 38"T.